It was great to see Jordan again today for her senior portrait! She has grown into a lovely young lady in the past year and a half since we last saw her during her family portrait session. 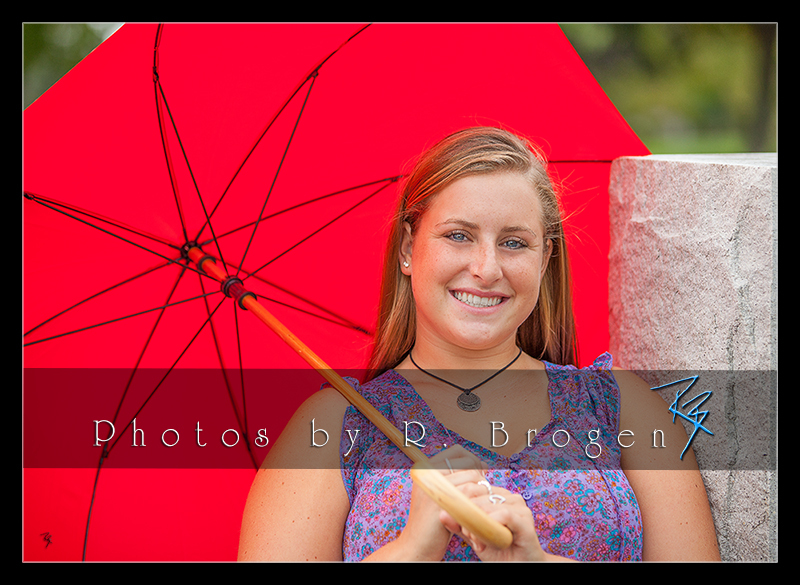 The only thing as BRIGHT as her personality was this very red umbrella and fortunately the rain stayed away and the overcast skies provided some great lighting and some amazing images!